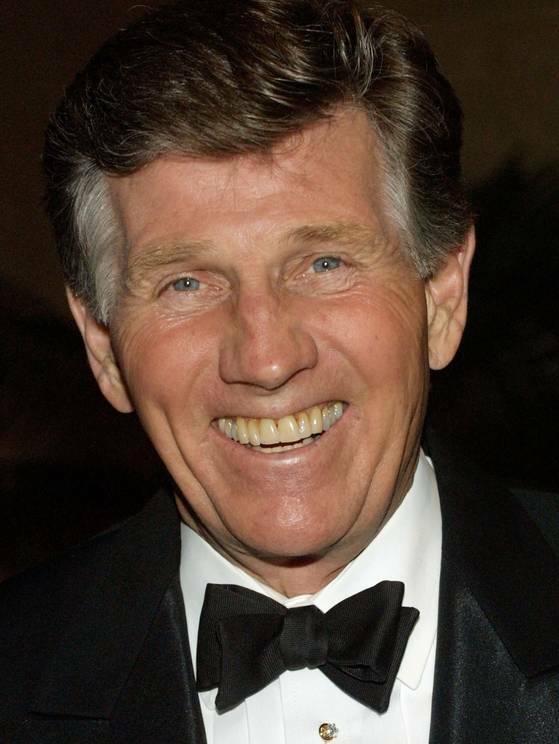 Legendary TV actor and presenter Gary Collins has died aged 74. Gary Collins passed away in the early hours of Saturday morning and his death was said to be from natural causes. The tragedy took place just before 1:00 a.m. at Biloxi Regional Medical Center in the American state of Missouri, according Harrison County Coroner Gary Hargrove. Gary Collins married former Miss America Mary Ann Mobley in 1967 and the couple – who separated last year although remained wedded – had one child together, Mary Clancy Collins, Senior Vice President of Development for MGM Television. He was previously married to Susan Peterson with whom he had two other children, Guy William Collins and Melissa “Mimi” Collins. The master of ceremonies for the Miss America Pageant from 1985-1989 is also known for having appeared on episodes of programmes such as Fantasy Island, Charlie’s Angels, Alice, The Love Boat and Police Story. Gary Collins also hosted the talk show Hour Magazine from 1980-1988. Over the last few years, his public image has been far from wholesome. In January 2008 Gary Collins served four days in a Glendale, California jail for his second driving under the influence conviction. Gary Collins pleaded no contest to driving a motor home drunk after his arrest January 31, 2009, in Santa Barbara County, California. He was sentenced to 120 days home detention according to a Santa Barbara County Sheriff’s spokesperson. His blood alcohol content was measured at .29, more than three times the legal limit. In November 2010 Gary Collins was charged with a misdemeanor for leaving the scene of an accident in Jackson, Mississippi. He was fined $500 for the incident. Then on January 5, 2011, Gary Collins was charged with defrauding an innkeeper, a felony, in Harrison County, Mississippi, for allegedly failing to pay his bill at Jazzeppi’s Restaurant, according to a statement released by the Biloxi Police Department. Gary Collins paid a $500 fine two weeks later and did not appear in court.